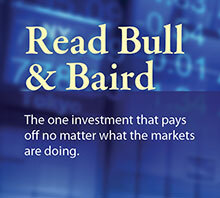 Baird serves institutional money managers around the world by delivering industry-leading insights and best execution in real time with comprehensive knowledge of the markets and thorough understanding of clients’ strategic needs. We make a market in more than 2,600 stocks. Dedicated group with over 20 years of experience handling corporate repurchases and equity distribution programs. Expertise in managing and executing hundreds of programs totaling hundreds of millions of shares across all sectors. Consistently positive feedback from issuers as related to compliance, service and execution.